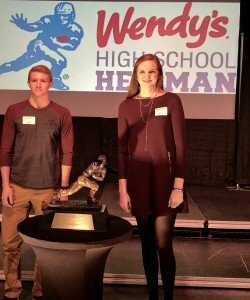 Congratulations to the 2018 Wendy’s High School Heisman Awards winners from Notre Dame Jr/Sr High School. 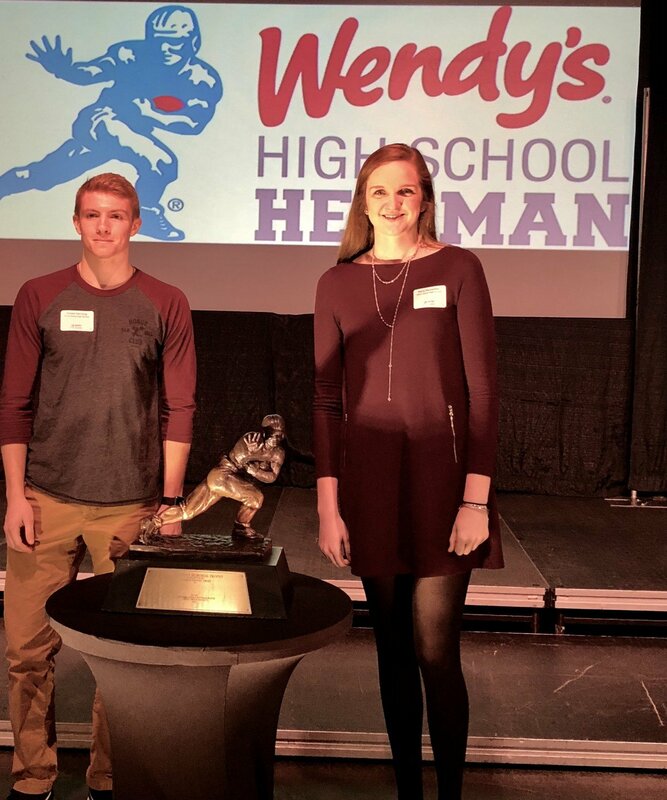 Katie Dettwiller and Simon Harting represented Notre Dame at the Wendy’s Heisman award ceremony held Tuesday, December 4 at the Big Sandy Superstore arena in Huntington WV. We are so very proud of these two students who were honored for their achievements both in the classroom and on the playing field and who serve as leaders and role models in the high school community.